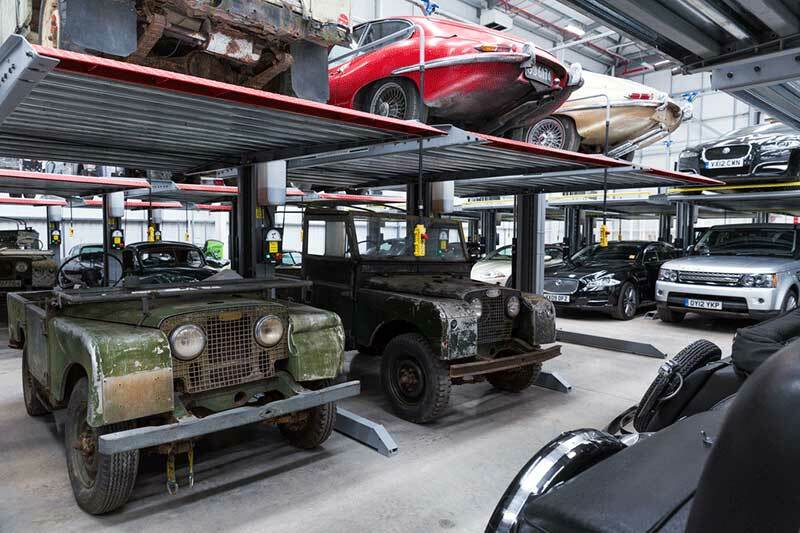 For several years now, Land Rover has been running a sort of “historic skunkworks” with its Land Rover Classic division, restoring Series Land Rovers, Defenders, and Range Rover Classics back to original specification. But due to import regulations, these vehicles have not been available to the American market…until now. Land Rover has announced the opening of a Classic Works shop in Savannah, Georgia, creating 75 jobs and a whole lot of potential very cool projects. The workshop will be in Savannah, which in addition to its beautiful architecture is home to the Port of Savannah, a major trans-Atlantic container port. It will complement the two existing European shops in Coventry, England and Essen-Kettwig, Germany. Jaguar Land Rover is hiring 75 employees to staff the facility, which will restore both Land Rovers and Jaguars. It will be located at the Crossroads Business Park, and the $15 million, 75,000 square foot facility will have a 42-bay garage and a showroom. The opening is set for summer 2019. The focus will be on vehicles which have been out of production for over ten years. By 2019, that would include Series Land Rovers, North American Specification (NAS) Defenders, Range Rover Classics, and Discovery 1s. It would also cover all legally imported Rest of World Defenders currently in the country. In addition to full restorations, they will do health checks on these older vehicles. What exactly the restored product output will consist of will be interesting to see, especially whether they import vehicles from overseas to create "new American Defenders." There were large gaps in official American importation of classic Land Rovers. There is a good-sized cache of officially-imported Series Land Rovers here, but only to the point where Land Rover pulled out of the market in 1974. Though American Range Rover Classics are now becoming very popular, the earlier two-door models sold before Range Rover North America opened up shop in 1987 are even more collectible, especially the earliest "A Suffix" models from the early 1970s. The earliest Discovery 1 models from 1989-1993 are gaining some value overseas faster than the later version brought to the United States from 1994, as well. It’s very clear that JLR sees the immense potential in tapping into the American classic car market, the world’s largest. 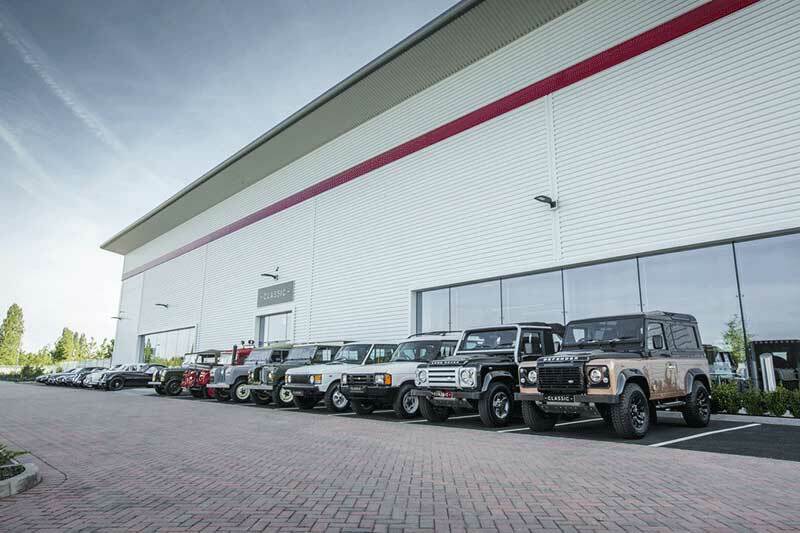 Old Land Rovers are riding the crest of the wave, with Defenders commanding the most astronomical figures and Range Rover Classics having appreciated exponentially from their “a little over scrap value” prices of the late 2000s. Discovery 1s also show early signs of climbing values. And on the other side of the shop, vintage Jaguars are gaining in value as well, especially well-restored E-Types. A North American Specification Defender with a factory rebuild and 12-month warranty...that may end up being one of the most valuable Land Rovers of all. There's a lot to look forward to next year as the potential of the Classic Works projects is finally in reach of the American Land Rover enthusiast, as long as your checking account is big enough.